This site exists to help you obtain a full Birth, Death or Marriage certificate as quickly and as easily as possible. All full birth certificates supplied are long form version certified copies for England and Wales, Scotland, Northern Ireland and the Republic of Ireland and include parents names. All full birth certificates we supply are fully certified copies which are suitable for all official purposes. 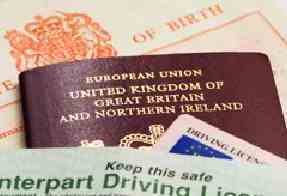 Some reasons for obtaining a certificate include an application for marriage, applying for an academic course, applying for a passport or a driver's licence. One of the most common reasons is that the original certificate was lost or mislaid. Such a document is known as primary documentation, since it is an official public record. Birth Services can also be known as vital Services. They are often used for such purposes as passport applications, police checks, insurance, employment and for personal identification. Other reasons include genealogical research, people tracing their relatives and a parent obtaining a certificate for their child. People in Australia, Canada, New Zealand and South Africa can order a certificate to prove that either that their parents were born in the UK, which entitles them to "Right to Abode" or that their grandparents were, which entitles them to "Ancestry Visa". These visas allow immigration and freedom to work as a result of their UK ancestral connection. An applicant may order their own certificate, or someone else's if they have sufficient and correct information. British full birth certificates come in two forms, the short or the long form. We supply the long form certificate and fully authenticated.